‘Woof woof’!!! A dog isn’t just for Christmas and Christmas isn’t just for dogs, but by-jingles our doggy friends just love Christmas! Especially their full Christmas dinner and Christmas stocking stuffed with lovely squeaky toys. 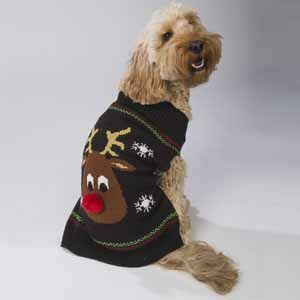 So don’t leave your pooch out in the cold this Christmas…treat him to a new Christmas jumper so that he can join in the Yuletide yarn fun with you. 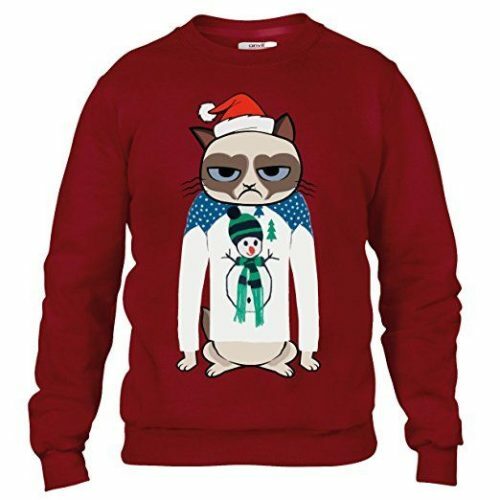 If your furry friend is the fun sort, check out the novelty and fancy dress Christmas jumpers we’ve featured – sure to raise a chuckle over the Festive season. Or if your puppy is more of a pampered princess fashionista, we’ve also found some chic little numbers that’ll help her feel like the Christmas angel. A very merry Christmas to you and your canine companions! Navigating the web-pages on this website. 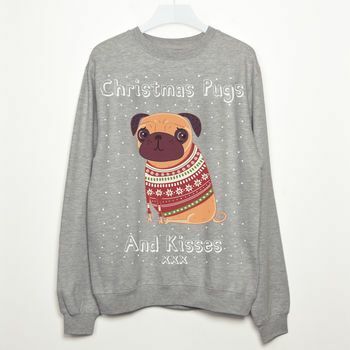 You are currently here : Homepage » Pet's Christmas jumpers » Christmas jumpers for pets!